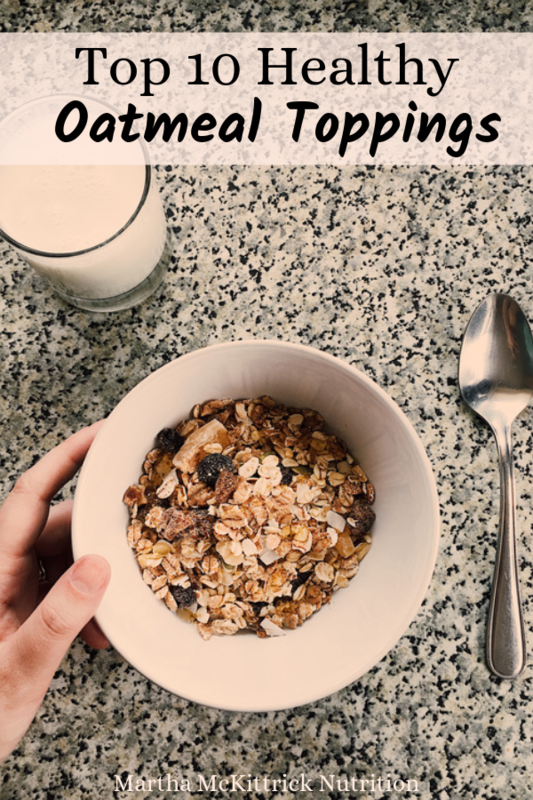 Here are my top 11 picks for healthy oatmeal toppings. I recommend using steel cut oats when possible. And keep in mind that while all the toppings have some health benefits, not all toppings are created equal. Some have more sugar than others – so make sure to check the carb and sugar content if that is an issue for you. And pay attention to portion sizes as the calories in some of the toppings add up quickly! made a huge comeback and has many beneficial health effects. For example, it may lower cholesterol, stabilize blood sugar and aid in digestion. 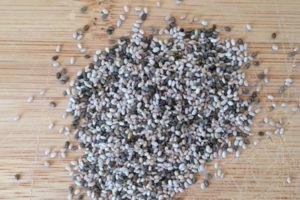 Chia seeds also represent a plant-based source of omega-3 fatty acids. Nuts and Seeds. Nuts and seeds pack a powerful punch of heart-healthy fats, protein, and disease-fighting, immune-boosting vitamins and minerals. They also add a nutty earthy flavor and crunch to a bowl of oatmeal. There are many types of nuts which contain different nutrients, so I recommend experimenting with different ones to reap various health benefits. Flaxseeds. Flaxseeds have been recognized as one of the most powerful plant foods on the planet. There’s evidence that flaxseeds may help reduce the risk of heart disease, stroke, cancer, and diabetes. It owes its healthy reputation to components including omega-3 fatty acids, which have been shown to have heart-healthy effects, and fiber (both the soluble and insoluble types). 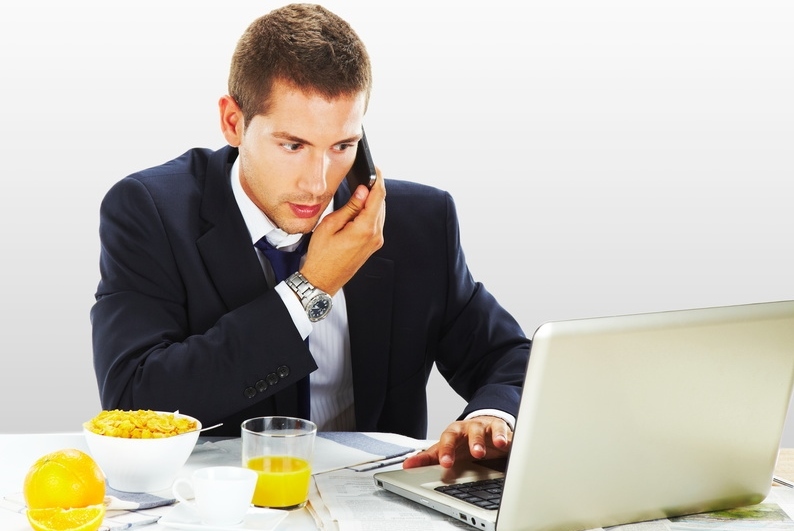 Purchase ground or crushed flaxseeds as they are much easier to digest than whole flaxseed. Greek yogurt. Greek yogurt boasts nearly double the protein of traditional yogurt. 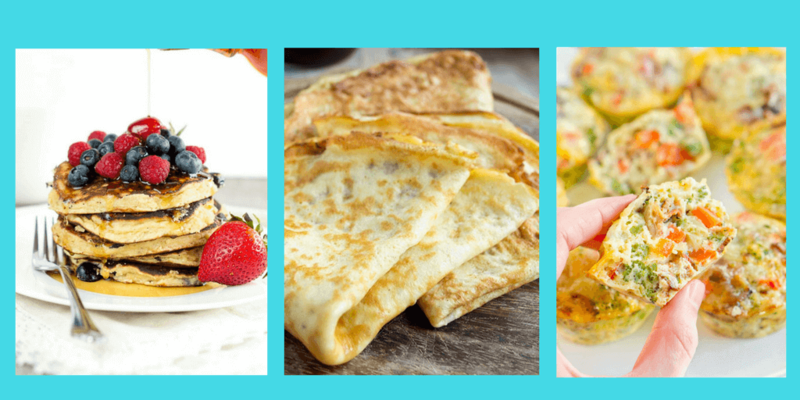 Since protein takes the body longer to digest than carbohydrates, it can help you feel full longer, helpful in curbing your appetite and managing your weight. In addition, Greek yogurt contains important nutrients including calcium, magnesium, and potassium, and provides a healthy dose of probiotics, which help promote a healthy gut. A few dollops on your oatmeal delivers not only creamy taste and flavor, but a nutrition boost to power you through your day! I find the 2% Greek yogurt has a creamier, thicker texture and richer flavor than nonfat, but nonfat would work just as well! Pumpkin puree. While pumpkin puree may play a starring role in Thanksgiving desserts, they deserve an all-year spot in your pantry. Adding it to oatmeal is one way to take advantage of all it has to offer! The vibrant orange color of pumpkins indicates that they are loaded with beta-carotene, which your body converts into Vitamin A. Vitamin A promotes good vision, healthy skin, and supports a healthy immune system. Pumpkin also contains fiber and is naturally low in fat. 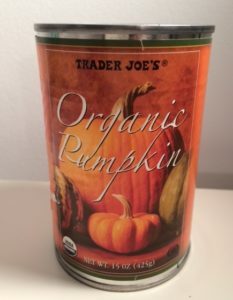 When buying canned pumpkin, choose plain, unsweetened varieties. Labels should have one ingredient: pumpkin. Cocoa nibs. You’ve heard about the health benefits of dark chocolate, but have you heard about the health benefits of cocoa nibs? 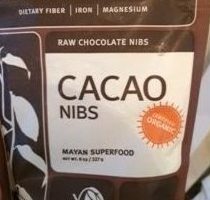 In case you didn’t know, cocoa nibs are made from pure cacao beans that come straight out of the tropical cacao fruit; thus, they are much less processed than the dark chocolate you typically find at the supermarket. Not only do these little bites have exceptional flavor, but they boost a nutritional profile that will blow you away! 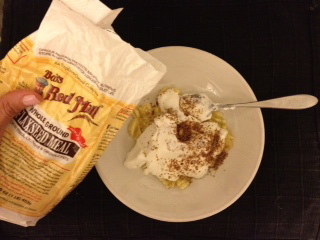 Unsweetened shredded coconut/toasted coconut chips. 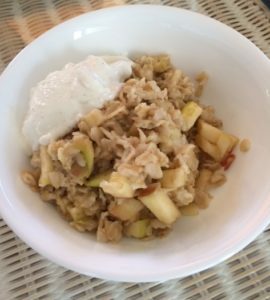 Adding unsweetened shredded coconut or toasted coconut chips to your oatmeal adds a nice flavorful twist and unique texture. The flavor is rich with a slight sweetness making it pair well with both sweet and savory additions. Spices. Spices like cinnamon, nutmeg and pumpkin pie spice are flavorful additions that go a long way to enhance the taste of oatmeal without adding significant calories or fat. They also provide a variety of health benefits – from boosting immunity to helping control blood sugar. My personal favorite spice addition to oatmeal is cinnamon. Peanut butter and other nut butters. Peanut butter and other nut butters provide a healthy dose of protein, as well as heart-healthy fats. The type of fat, in addition to the fiber and protein found in nuts, leads to greater satiation, keeping you full for longer. Make sure to read the ingredients label. Look for a natural style product with no added fat or sugar, excess salt, or artificial ingredients. 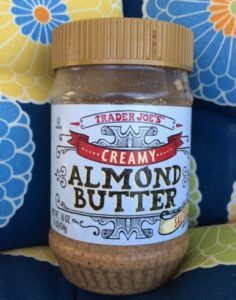 Some companies add partially hydrogenated oils to nut butter which adds unhealthy trans fats into the equation. I recommend that the ingredients should say the nut and possibly salt, but that’s it. Since nut butter is a concentrated source of calories, a little will go a long way. Thus, to keep your oatmeal topping under 100 calories, I recommend adding 1 tbsp. Each nut butter offers a different array of nutrients so I encourage you to explore different flavors and textures! Dried fruit. Dried fruit is chock full of antioxidants, vitamins and minerals, and fiber to support good health. Look closely when choosing dried fruits; I recommend choosing a brand whose ingredient list has only one item: the fruit itself. Most packaged dried fruits include added sweeteners like sugar and corn syrup, or preservatives so be aware. 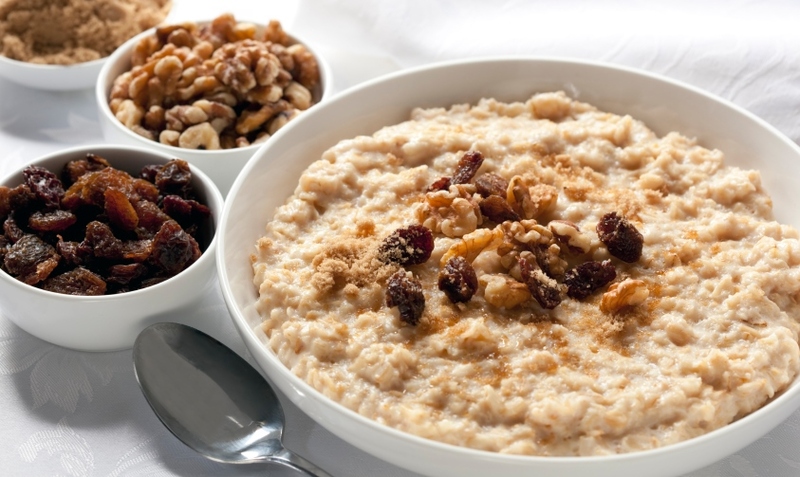 The fun thing about adding dried fruit to your oatmeal is that you can experiment with different varieties. Some popular ones include raisins, dried apricots, dried dates, dried cranberries, dried blueberries, prunes, dried cherries, dried figs, and dried goji berries. If you need to watch your carb/sugar intake, be careful with portion sizes! I’d like to thank Rachel Stahl, MS, RD, CDN, CDE for writing this article. 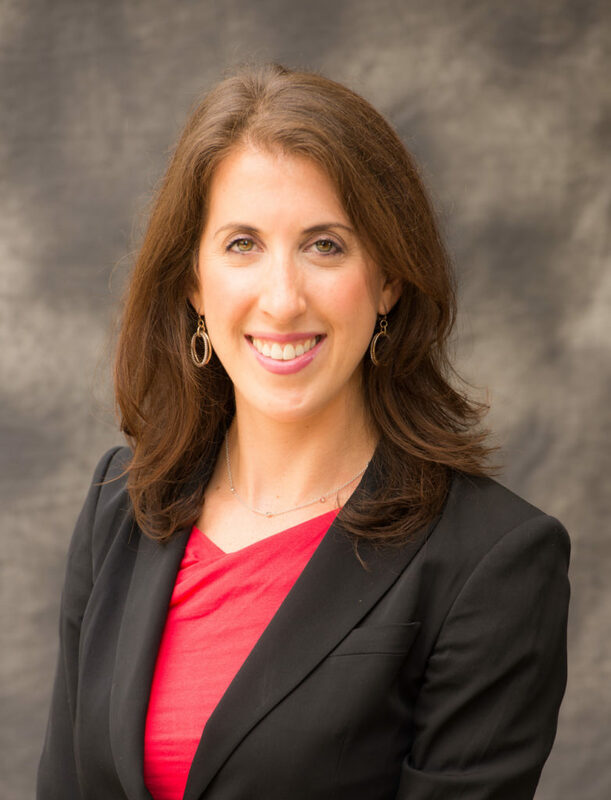 Rachel is a Senior Dietitian at NewYork-Presbyterian Hospital/Weill Cornell Medicine where she specializes in diabetes, weight management, and cardiovascular health and is actively involved in both patient and interdisciplinary education. 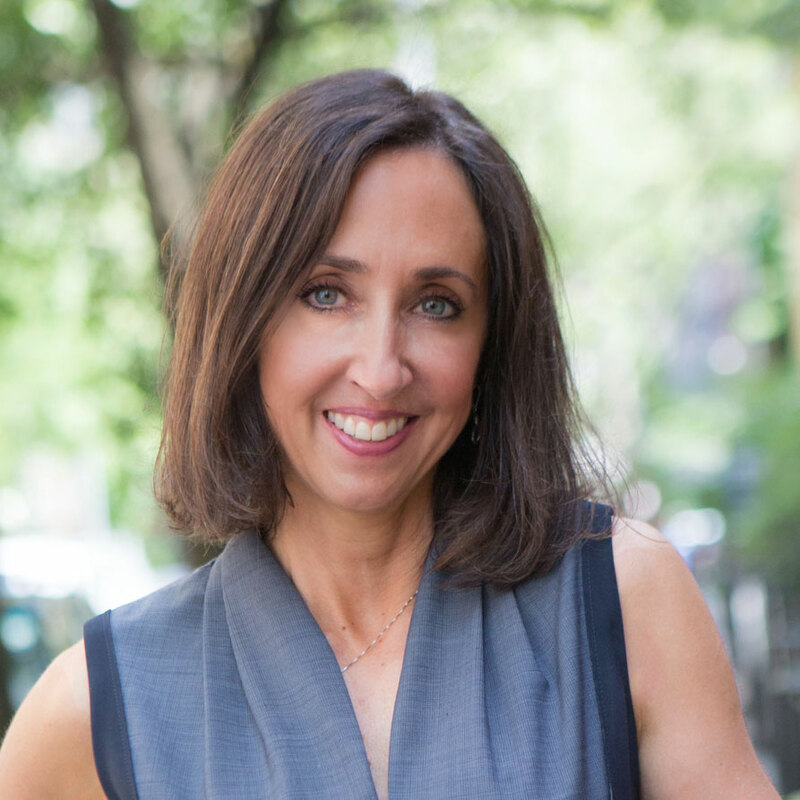 In her free time, you’ll often find Rachel visiting farmers markets, biking in Central Park, or trying a new recipe in her kitchen! Follow her on Instagram @rachelstahlrd for nutrition tips and healthy meal inspiration!